About nabi: Mattel's nabi® brand is known for creating innovative high tech solutions for kids and families including the acclaimed nabi tablet line. Nabi is committed to creating family solutions that are: (1) socially responsible, (2) made right, (3) make a difference in people's lives, (4) for and by parents, and (5) dedicated to the intellectual development of children. Nabi has also been the recipient of a series of prestigious accolades, including a place on Fast Company's Most Innovative Companies list. 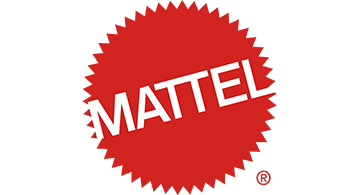 About Mattel: Mattel is a creations company that inspires the wonder of childhood. Our mission is to be the recognized leader in play, learning and development worldwide. Mattel's portfolio of global consumer brands includes American Girl®, Barbie®, Fisher-Price®, Hot Wheels®, Monster High® and Thomas & Friends®, among many others. Mattel also creates a wealth of brands and products made in collaboration with leading entertainment and technology companies. With a global workforce of approximately 31,000 people, Mattel operates in 40 countries and sells products in more than 150 nations. Visit us online at www.mattel.com.